Botanical Name: Polygonum multiflorum Thunb. Action on blood sugar – after a period of 30 – 60 minute of the oral intake of the decoction by the rabbits, the blood sugar concentration will reach the highest point, then slowly decline. Increase liver glycogen content – experiment done on the hungry adrenalectomized mice. Lower blood cholesterol – reduce the absorption of cholesterol in the intestines, prevent the deposition of cholesterol in liver, and prevent the formation of atheosclerosis. Lecithin is the essential ingredient in the formation of nerve tissues, blood cells and other cell membranes. Cardiotonic – excitatory action on the frog’s heart in vitro. Anti-bacterial – inhibit the growth of Mycobacterium tuberculosis, bacillus dysenteriae. Action similar to adrenalcorticoid hormone. Raw : bitter, astringent in taste and neutral in nature. Prepared : bitter, sweet in taste and warm in nature. 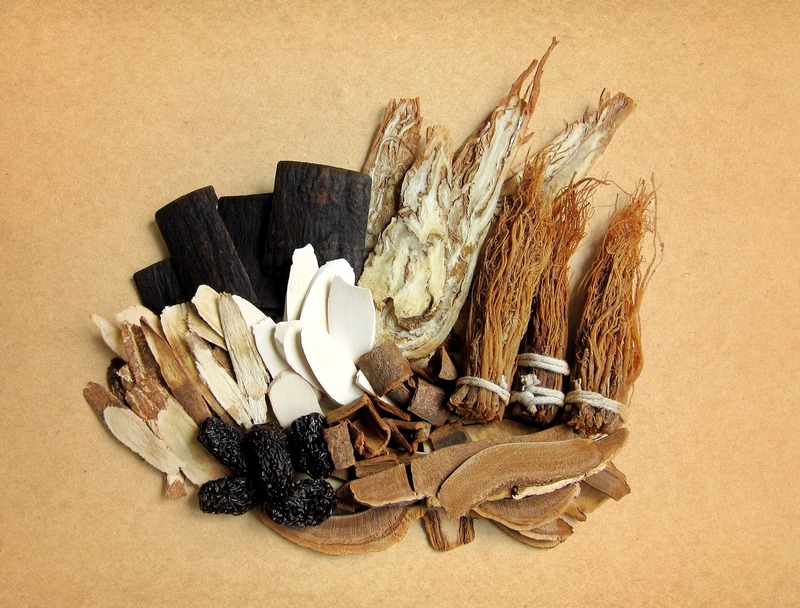 Processed fleece-flower root: invigorating the liver and kidney, replenishing vital essence and blood, blackening hair, strengthening bones and tendons and prolonging life. Raw fleece-flower root: loosening the bowel to relieve constipation, detoxicating and removing damp-heat. It is used for: 1) Sallow complexion due to deficiency of blood, dizziness, tinnitus, early whitening of hair, soreness and lassitude of loins and knees, numbness of limbs and hyperlipemia. Frequent use can cure dyszoospermia; (2) Constipation due to dry intestine, abscess, scrofula, sores and carbuncle. Direction and Dosage: Be decocted first, take 9-30 grams daily.. Raw fleece-flower root is more toxic than prepared one. In general, there are no side effects in clinical applications. But some people will have more times of stool, affect with slight diarrhea and abdominal pain after administration. A few will feel chest distress and intense heat inside. Caution : It is contraindicated for patients with loose stool or with serious damp phlegm. Ingredients: Fleece-flower root (prepared), Chinese angelica root, psoralea fruit, wolfberry fruit, dodder seed, poria and achyranthes root. Actions and indications : Tonifying the liver and kidney and blackening hair. It is used for deficiency of both the liver and kidney, early whitening of hair, loose teeth, spermatorrhea, night sweat, dysphoria, thirst, emaciated body and lassitude of tendons and bones. Direction and dosage: Take 9 grams orally, twice a day. Caution : Cold and pungent stimulants are prohibited to be eaten. Liver-kidney yin depletion with signs such as premature greying of the hair, weakness of lumbar and knees, and seminal emission; blood vacuity dizziness; uterine bleeding; vaginal discharge; enduring malaria; swollen yong; intestinal wind; hemorrhoids. Used for tumors of bone, acute leukemia and intracranial malignant tumor.